With clean lines and sleek shapes, kraus kitchen accessories provide everyday efficiency with style. 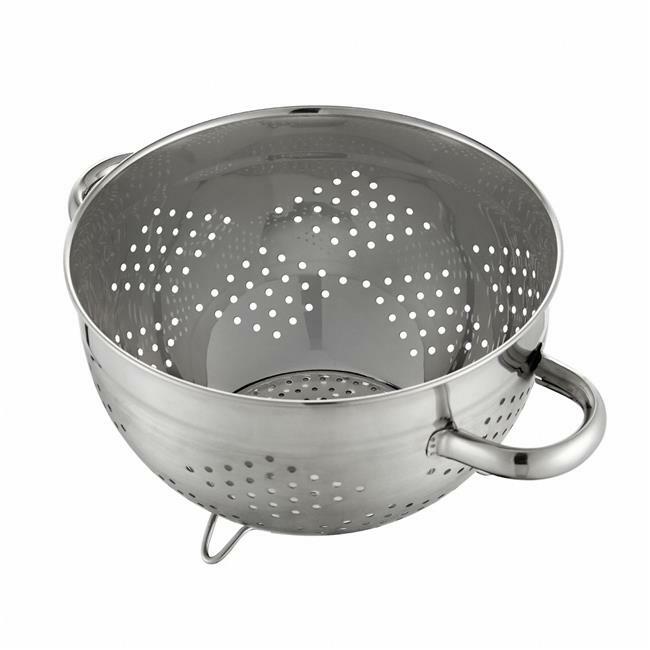 This colander is constructed from solid stainless steel for maximum durability. The commercial grade satin finish coordinates beautifully with most popular fixtures and appliances. With safety features like a stay-cool surface and protective cushions, the colander provides flexible functionality for a variety of tasks. Experience kraus quality, down to the details.